He wants to foreground his idea of “Circulair Development Reinforcement” more and more. Connect (young) people, let them support one another so that both we and them will grow in awareness. Everybody will develop their insight and understanding about the responsibility that we have for the people around us. The focus of Eye for Others is still on supporting vulnerable children, whether they are disabled, homeless or orphaned. The organisation is also looking out for children and their family members living in potentially threatening situations like dangerous neighbourhoods or unstable families. Students are going to design and establish projects at our community development centre in Ritchie. 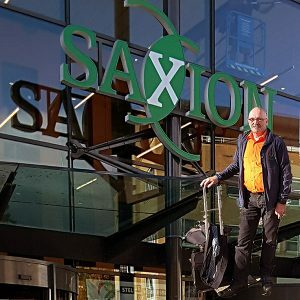 To properly guide the students, Ton has accepted a job at Saxion as a consultant of international expertise despite having retired five years earlier. In addition, (young) people from the Netherlands are still travelling to South-Africa to help with various building projects or to arrange activities for children at our centre in Ritchie. 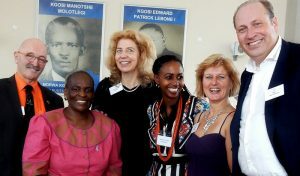 Ton’s connections aren’t confined to the Netherlands, he has established fruitful relations in South-Africa too. Through his work in and around Phokeng he has forged good ties with the queen-mother of the Royal Bafokeng Nation. She supports him and endows us with her counsel, so that we (as Eye for Others) learn more and more about the different cultures in South-Africa. She and several other friends in institutions like the South-African Police Force, the Department of Justice in the Northern Cape and Yonder Mental Health in Kimberly aid us in the initiation as well as the continuation of our projects in the Northern Cape. Ton motivates and stimulates people to do that one thing that’s completely different from ‘normal’ life in the Netherlands. By letting (young) people participate in our projects he wishes they will experience something that will last them a lifetime; an enthralling and beautiful investment! Don’t worry about being too old, it’s the most heartwarming thing to see an elder caring about a township child. 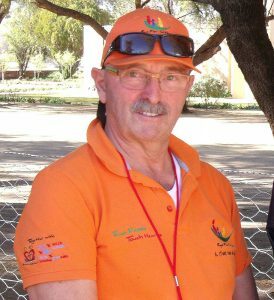 Ton was born on april 7th 1952 in Moordrecht and currently lives in Apeldoorn. He has been employed by the State Police for 20 years, after that he worked as a manager of a bungalow park and subsequently became owner of a facility management company. He retired in 2012 when he stopped working as an ad interim facilities manager. 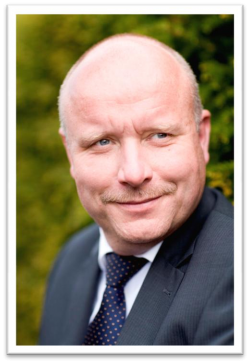 He has been involved in the organisation of church youth activities since he was young and took part in a project in Albania stretching from 1992 to 1993. Here Ton laboured with around 40 adolescents to renovate and refurnish the child wing of a hospital in Pogradec. In 1996, when he and his family travelled to South-Africa for a family visit, he noticed the dire situation the townships of South-Africa were in and he saw the horrible consequences AIDS had on the populace. 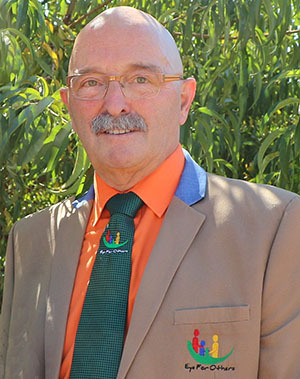 He immediately felt a connection to the people and has been active ever since in charity projects in townships around Rustenburg, North-West Province and in the Karoo Northern Cape, South Africa. His dream and vision is to succeed in changing the world of one child. Within this dream he wishes to show (young) people a fundamentally different side of the world and help them to understand that 80% of the world population have to make do with only 20% of the worldwide income. Because of this dream many volunteers have travelled to South-Africa, by their presence, energy and support they’ve managed to establish several successful (child related) projects that are still operative today. And let’s not forget about the ongoing support from local churches, organisations and institutions. We conduct our projects with groups of volunteers from age 17 to 77 who will be working in a South-African township for two weeks. If we all do something, we can change a lot. Involvement of church, government and business fits in this picture perfectly. It’s not just about funding and financial support, however important, it’s much more beautiful to see how the projects change young people. When they’re sent out for two or three weeks to construct a community centre, (child) accommodation or to arrange activities for children this often results in a real, perceivable change in mindset. They will experience a shift in their priorities. It would be the most frivolous thing.